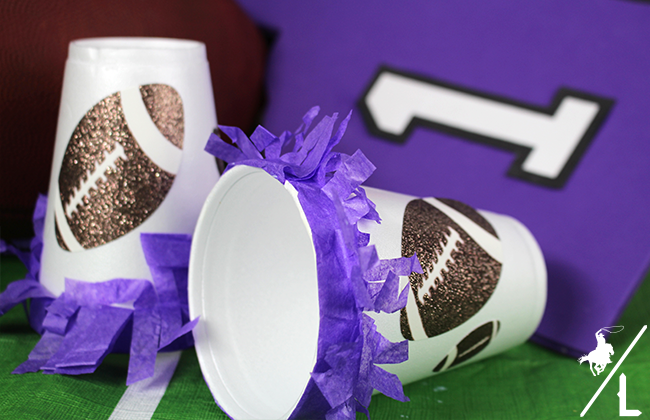 Dear football season, thank you for making sitting on the couch exciting and fun! I mean, what’s not to love about watching your favorite team score a touch down while, enjoying the game with friends and munching on your favorite snacks? We like to get our little guy involved in the excitement so that he can have fun as well. 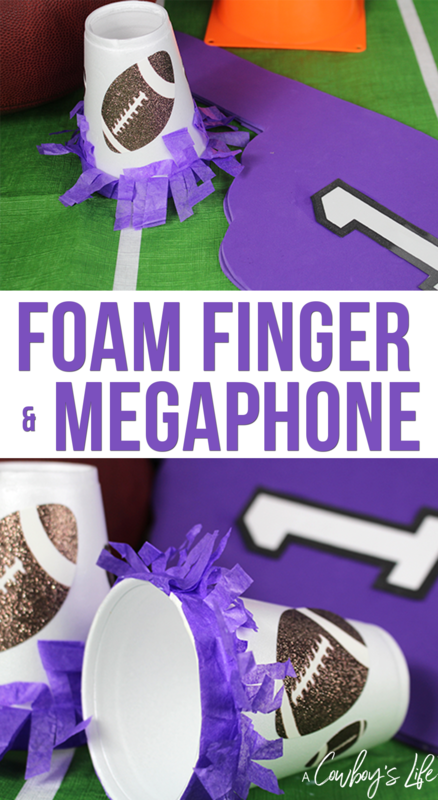 Making this DIY foam finger and mini megaphone will keep any little one engaged during the game. Plus I’m pretty sure every adult will have to try out the megaphone at some point during the game! Hand draw a template of a finger on regular paper. Cut it out and then trace onto the foam sheets. Cut out the finger on foam sheets. 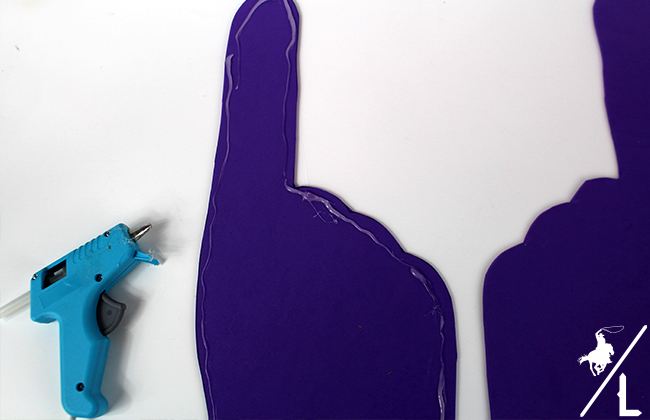 Add hot glue to the edge of one of the finger and leaving the bottom of the hand without glue. Press the two pieces together. Add on your #1 sticker or anything you choose to decorate it with. With exacto knife, cut out the bottom of the cup. Cut a strip of tissue paper the length of the top of the cup. Cut tiny strips half way and crinkle or twist. 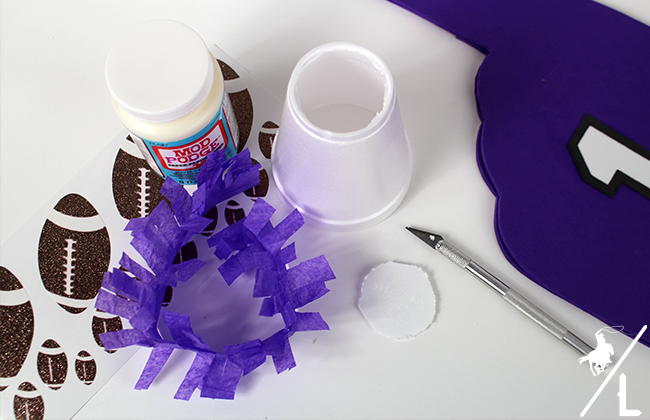 Add a thin layer of Modge Podge around the top of the cup and place the fringed tissue paper. 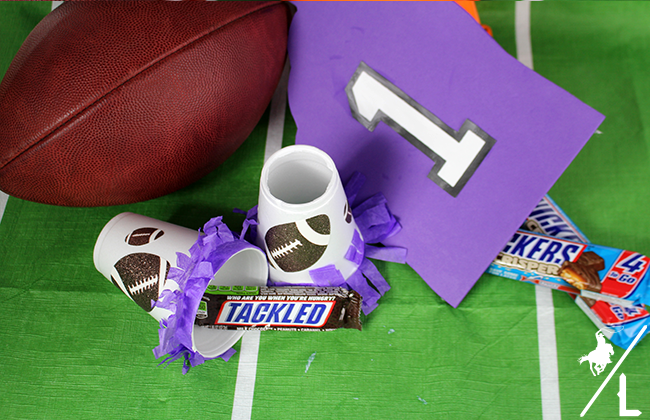 Now that you have fun football accessories, all you need are the snacks. 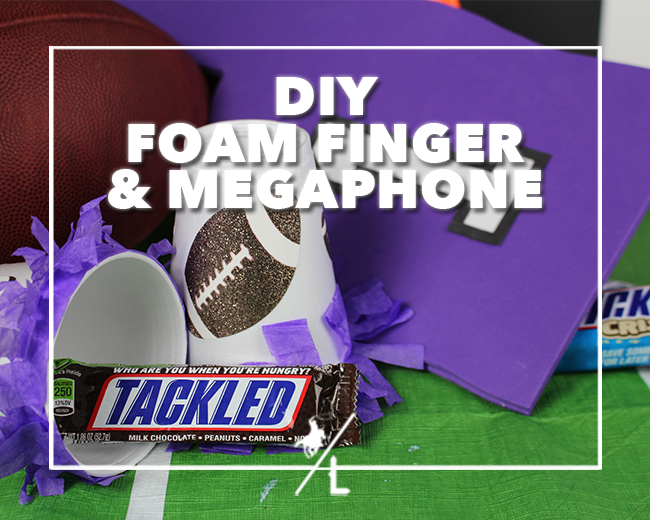 You can pick up all of your game day supplies and SNICKERS® Hunger Bars at CVS! No need to go to a crowded grocery store when you can be in and out in minutes at CVS. Make sure to use this coupon at CVS next time you purchase SNICKERS® Bars or SNICKERS® Crisper. 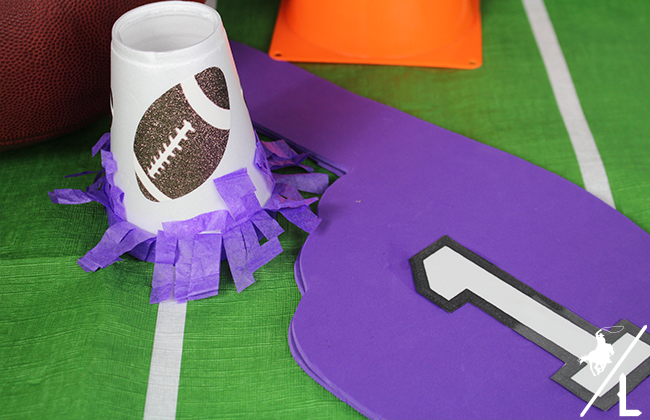 Need some more fun game day ideas? You can find more football fun here! What a great idea, Chastity, for getting your son involved! And how much more fun to make his own fan finger. Love it! It is so cute. I haven't been in a football game but sounds like an interesting event to go to. We love football! I never realized you could make foam fingers like this what a great idea! My son would be all over this! I've seen kids and adults holding these at sports events. It's cute to see and good to learn how to make one.